The Truth is We Need Our Inner Child All of Our Lives for Energy, Creativity and More! I wrote The Truth (I’m a girl, I’m smart and I know everything) for many reasons. Perhaps the most important was to help girls hold on to their inner child as they grow up and to help us adults get back to your inner child. Did you realize how precious she really is? Do you realize that she holds many of your dreams, your wishes, your hopes, your aspirations? She even holds your strengths and potential. She has your coping skills all neatly there from childhood if you need to grab them again! She can guide your to what will bring you true happiness. Find out what I mean in the following video I need for Askimotv. The Girl in The Truth (I’m a girl, I’m smart and I know everything) has a Wonderful Dream About a Future Group Called Free The Children! You’re not going to believe this! I had the most amazing dream I have ever had in my life last night! And I hope that someday what I dreamed will be the truth. There was a boy, about my age, maybe a year older, about 12. And he read about another boy who had been a slave in some far off country, maybe Pakistan? Can you imagine being a slave as a kid? I think he had to help make rugs everyday. Anyway, this boy in Pakistan somehow died and the boy in this country found out. The boy here decided that it wasn’t right that kids should be slaves and he decided to do something about it. I know just how he must have felt! I want to do things also to make the world a better place. But I don’t always know how. I wish I did. This boy knew how. He started to talk about the kid that had died and got a group of friends together and they started a club to help slave children around the world. I can’t remember all of my dream, but I know they called it Free The Children and that eventually the boy went around the world collecting money and got tons of other kids to help raise money to free kids and do lots of other things like build schools for children in places that had no schools. And then the dream was gone. I hope someday the dream will come true. I hope I’ll still be alive to see children around the world helping to free other children and to help save the world. And if I am a grown-up by then I hope I’ll remember how it feels to stand up to bad stuff and I be one of their big supporters! Maybe by then it will be my daughter who will be going to Kenya or somewhere to help build a school. This was the best dream I have ever had! Yes, One Little Girl Can Make a Difference in The Quality of Life for Many! 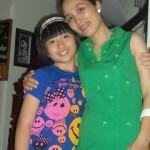 Several years ago I received an e-mail from a young girl in Vietnam who had read The Truth (I’m a girl, I’m smart and I know everything), in Vietnamese. She loved the book and decided to write to me. It is a long story, but Linh and I have been penpals for almost two years now. And not only have we written about our lives and our families, we have talked about many subjects, including how important charity is and how important it is to try your best to make the world a better place. 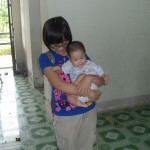 Linh shared with my the problems on an orphanage in Vietnam that she is very concerned about. They don’t have enough money and certainly inadequate equipment to try to rehabilitate children with physical and mental disabilities. 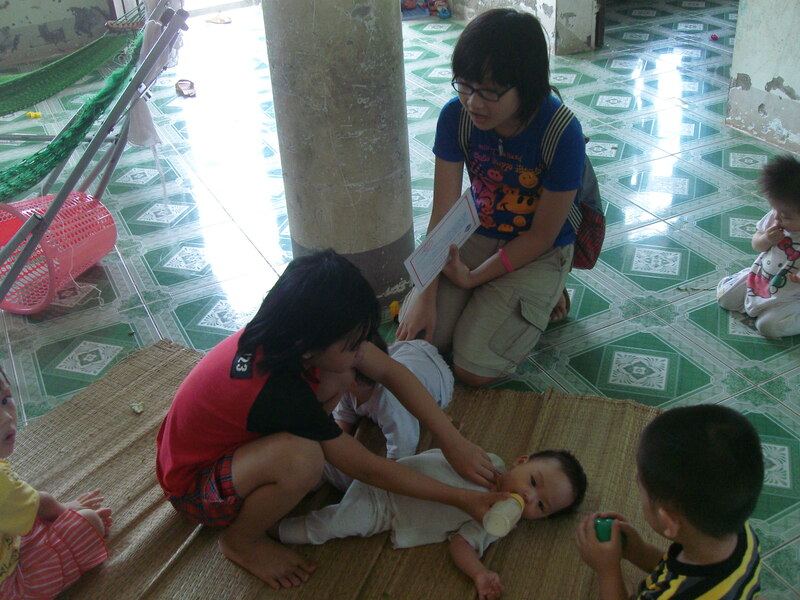 The women who work at the orphanage try their best, but still the children are not getting the chance they deserve. 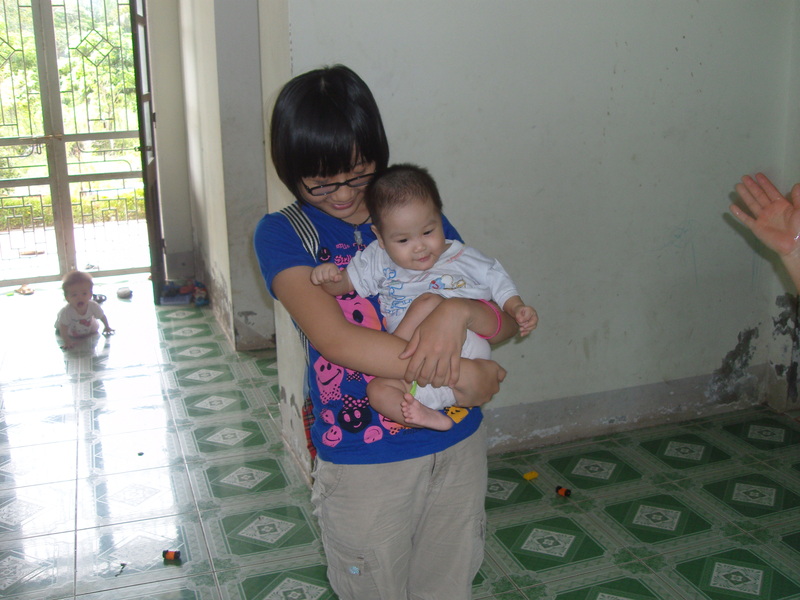 I felt for these children and sent money to Linh, mom, Le Thi Hoai Thanh, who took the money for me to the orphanage. Of course Linh went with her. They have actually gone twice and I have been awarded two certificates! Here are a few of the pictures. 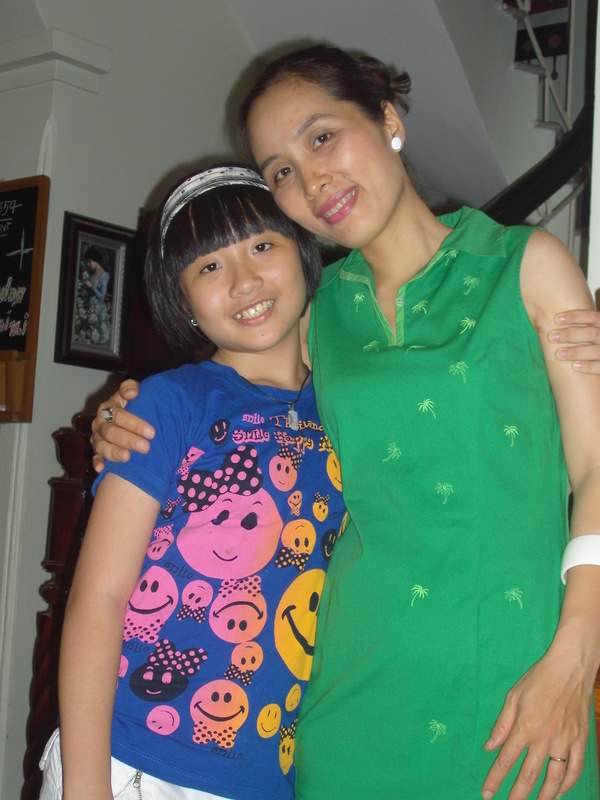 “Well, Hoa Phuong Village is here again, I thought. I was standing with my mother in the boundless garden of the village. Truthfully, I wanted to visit families there very much ; but first of all, we had to meet the village Vice-director. She was still friendly ; I felt so because she gave me a lot of guavas. They were very sweet and tasty….My mother took a number of photos. 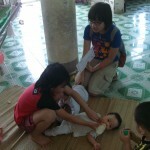 After that, a woman took us to a family in which babies and homeless children were brought up. The family had many lovely kids. They were so cute that I just wanted to kiss them, especially an innocent baby. Unfortunately, I don’t know his name. We talked to the two mothers in that family. They were both middle-aged women and they told us a lot about the children. 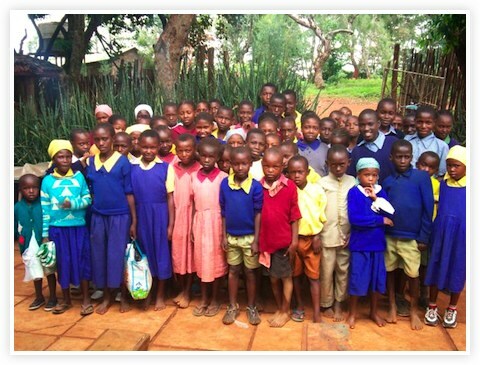 Finally, we said goodbye to the mothers and the kids, and we left with packets of guavas. 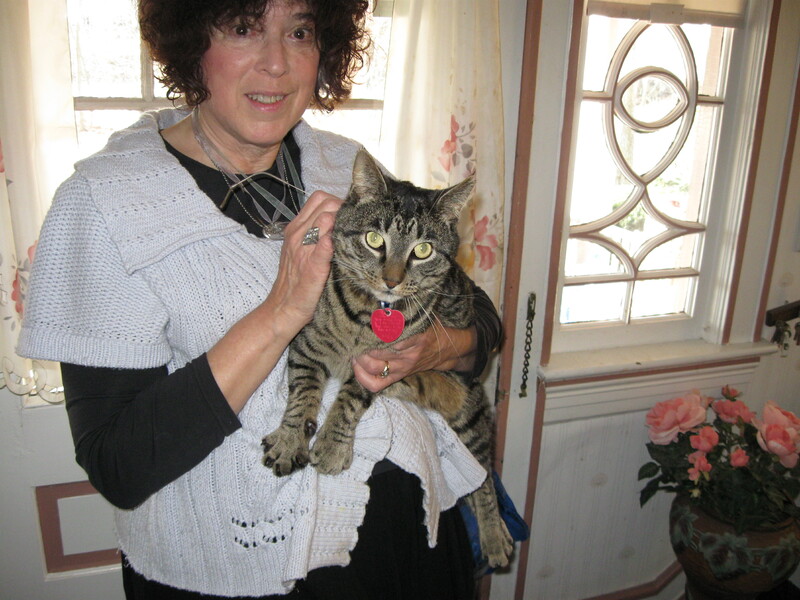 I thought it would be such fun to put my cat on my lap and talk to him about the truth. 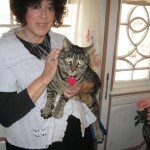 After all, cats, like most or all animals, have an uncanny sense of the truth. They know if you don’t like them. They also often sense what is about to happen before it does, like when a storm is coming. And they look past all the superficial stuff like our make-up and what we are wearing to the true essence of what is at hand. Feed me. Love me. Play. It is all simple and direct. Of course children are more complicated, but in many ways children know the truth better than we do. They can pick up on our moods and intentions instantly. Kids know if we are placating or overdoing compliments. Soooo, once Sunny was on my lap, and he of course, sat right in the sun, I just began to talk to him about the truth. The words fell out of my mouth, as he patiently let me pet him. However, when I tried to get him to look at my book, The Truth (I’m a girl, I’m smart and I know everything) he clearly turned away. He wasn’t going to let me trick him into reading a book for kids! After all, he’s a cat. He’s proud of it, and that’s The Truth. HOLIDAY STRESS-Yes, Girls, Tweens and Teens Feel It Too! 1. Have a honest, but not overly dramatic or discouraging talk about this year’s decisions around present giving. If everyone will be receiving, say half of what they got two years ago, be honest about it. Discuss this openly and maybe agree on what gifts are the most important for an older child or a teen. If say your daughter really wants an item that is twice what you can afford, see if there is a way to figure out the purchase. Perhaps it can be for both Christmas and her birthday, plus she can take on a chore in the family for a few months that may help you out or even cut some expenses for you. 2. Also, have an honest chat about what you will do and not do for the Holidays. If you are not buying a big tree this year, let them know early so they won’t be disappointed. Perhaps it is the year for a family evening of making home made decorations and stringing popcorn trim? That can be a lot of fun. Also, kids are very creative and if they know that a food budget for a big Christmas gathering must be slimmed down, they will come up with ideas to help do that. For example, they may be willing to bake or help you cook more from scratch, as that usually costs less than packaged foods. In summary, the important thing kids need is to feel in the loop of making decisions about the Holidays and presents and that they have something of value to offer the family either in terms of ideas or actions. If you can help them feel valuable and in the loop and make clear that you want a great Holiday also, you will find yourself under less stress and for sure you daughter will feel even better about herself than she expected! Here is a Page From The Truth (I’m a girl, I’m smart and I know everything) that has only appeared in the Chinese Edition of the Book! We get about three hours of homework a night. I hate having so much work to do at home. I can’t stand it. I can hardly play outside anymore. I can’t ride my bike or roller skate, either. It is awful. Sometimes I get in such a bad mood that I stand up on my bed and jump up and down like a wild woman. And then I hold my breath and just feel so angry inside. My mother tells me to stop. Yesterday she got really scared cause I wouldn’t stop and I kept holding my breath on and off. She went to the telephone and called her friend who is a nurse and asked her what to do. I got really scared when I heard her say that it would be ok for Jane to come over. I didn’t want her friend to see me being that crazy. I got off my bed and stopped. So she didn’t. Then I just started to cry and cry and my mom held me. My brother looked frightened and ran outside. My mom didn’t even care about him. She just cuddled me and told me it would be alright. She even told me that she and my father would go in to school and talk to the teacher and see why there is so much homework. And she would write me a note so that I could just go to bed tonight and not finish the homework. She also told me that Jane said that girls my age are very sensitive and can get upset really easily. She really made me feel better. I felt tired and miserable from all the crying but I wasn’t so angry anymore. I love my mother so much. She is so good to me, even though I know she hates me practicing my violin. And that’s the truth. “Feeling Special and Talented are Gifts All of Us Deserve”, according to Dr. Barbara Becker Holstein, Positive Psychologist and Author of The Truth (I’m a girl, I’m smart and I know everything). “I think everything I make is a master piece!” These words were spoken by Cecelia who is a fashion designer. What makes her particularly unique is that she is 10 years old. She has been designing since she was 6. When I saw Cecelia on television a couple of months ago, talking about her passion, sewing her creations, and then saw other children wearing the clothing, I was amazed and impressed. It was fascinating to see her in a fabric store picking the fabrics for her clothing. She clutched a bolt of fabric, saying “I can’t live without that piece of fabric.” She now has Trunk shows in exclusive stores and is often busy sewing her clothing for other girls her age. Truthfully I loved her clothes and could even imagine liking them for myself in a big enough size. It is unusual to find people of any age so connected and centered to a passion. It is extremely unusual at 10. Obviously Cecelia has been able to recognize and hold on to her talents and potential. And as they say, behind every great King is a great Queen. Well, behind Cecelia, must be parents who are guiding, encouraging and helping her with her talents. What can Cecelia teach the rest of us? Certainly not that every kid must have a talent that makes them famous. Rather she reminds us all the living our dreams, doing what feels really significant to us, is a gift we should all try to get to at some point in our lives. Why? Because it makes us feel whole. We are useful to society and we thrive. These are but some of the good reasons. And how do we get there? And when? 1. Recognize and help your child to recognize her talents, strengths, coping skills, interests and of course potential. 2. Never say never to a dream of hers, (unless it is harmful). If she can’t take ice skating lessons this year because of money, leave the door open for next year. Help her figure out a way to make sure it happens by next year. Perhaps she can get a scholarship. Perhaps you can offer your services, whether making phone calls, or baking cookies or cleaning the waiting room for parents, in lieu of payment. Get on your thinking cap and try. 3. 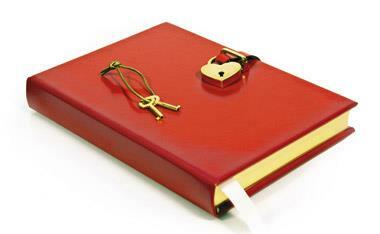 Bring interesting information and ideas into your household. Encourage good use of time. Collecting rocks or leaves or anything can lead to a science discussion or a fascination into the ways of nature. A family walk can be meaningful, healthy and leave everyone in a good mood. Always stay alert so you are opening your child’s mind and senses to the positive dimensions of being alive.